Although color is one of the most important aspects of jewelry design, it is often one of the areas that beaders struggle with most. Which colors look best together? How do different finishes change the look of a palette? Luckily, we can turn to the expert advice of fellow beaders for some tips and know-how on mixing and matching bead colors. One really great guide that provides plenty of inspiration comes to us from the pages of Bead Style and Bead & Button. Beading Inspiration: How to Use Color in Jewelry Design features projects from top beading magazines, plus six never before published designs that use bold color combinations and easy to learn techniques. Every color in the rainbow is represented, plus other favorites like metallics, and black and white. Beading Inspiration: Color begins with a few helpful guides to recognizing and using color palettes that we see every day - from nature to designer fabrics - and how to mix and match hues from the color wheel. There are also step-by-step photographs for some essential basic beading techniques, like wrapped loops and knots. Then it’s on to the projects. There are 33 jewelry designs to try, from earrings to bracelets, to necklaces. Each color is featured at least once, with some transition projects featuring pairs of color (like orange/yellow) or variations (like indigo). For every project, there is an inspirational image, and a color wheel to show you the selected hues and their positions, so you can make similar choices in your own designs. The projects in Beading Inspiration: Color use a wide variety of simple beading techniques, and a range of materials, from seed beads, crystals, and gemstones, to feathers, yarn and chain. Combined with the tips on using color, this book is an excellent guide for the new beader. Well, I'm interested to look at this book bec I found Margie Deebs books absolutely useless. After 40 yrs as a painter (where I have few problems w color), the many finishes on the beads are a whole 'nother challenge! 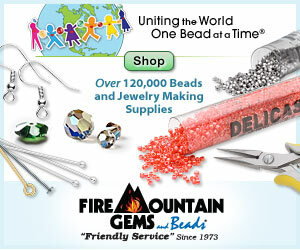 It would be nice if there was a way to tell how beads will work together before buying them. So many finishes look totally different on the thread than they do in the bag. 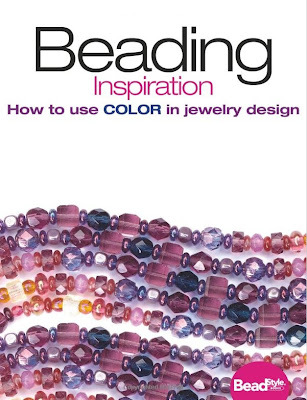 Margie Deeb's "Beader's Color Palette" is one of my favorite beading books. It's fun to flip it open at random and pick a palette to work with.